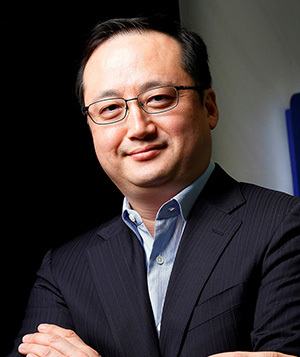 Thomas Choi is a successful serial entrepreneur whose innovations have greatly expanded the contribution of satellite to the economies, societies and people of the developing world. He entered the satellite industry through an executive position with Hughes that made him responsible for all business development in Asia-Pacific. In 1999, he left Hughes to found SpeedCast, a ground-based satellite service provider, in a joint venture with AsiaSat. SpeedCast focused on providing satellite-based voice and data networks to support such critical industries as maritime, energy and finance, while delivering connectivity crucial to education, government operations and disaster recovery. In 2005, Mr. Choi left SpeedCast to help found another company, ABS Global. He seized the opportunity created by the sale of the Lockheed Martin Intersputnik-1 satellite to do something highly unusual in the satellite business: launch a business with a working satellite on orbit. The success of ABS-1, previously LMI-1, made it possible to commission ABS-2, one of the biggest satellites ever launched at the time, for which the company won crucial financial support from the Export-Import Bank of the United States. It was launched in 2014 with most of its capacity already committed. With 89 transponders, the satellite brought a significant increase in capacity over the Middle East, Africa, Asia-Pacific and CIS/Russia to support television distribution and satellite newsgathering, cellular backhaul, broadband trunking and maritime connectivity. Other satellites followed, either acquired from other operators or ordered by ABS. ABS-3A and ABS-2A satellites were launched in 2015 and 2016 respectively extending the coverage to include the Americas. These additional satellites completed ABS’ three satellite build investment of approximately US$700M and have ushered in the era of highly capital efficient all-electric satellites. Today the company operates a 7-satellite fleet serving 93% of the world’s population, and was recently awarded a telecommunications license in Papua New Guinea. By expanding the reach of satellite both in the sky and on the ground, Mr. Choi has enjoyed entrepreneurial success while helping to raise standards of living across the most populous developing regions of the world.